Berlin is one of the most bike-friendly cities. Our tour will take you through the safest ways, following the bike roads and park paths. Berlin is an amazing city when it comes to its sights' colours and shapes. No matter if it rains or shines, you will be delighted by its exceptional beauty. There is no such thing as bad weather, but there are inappropriate clothes. When it's raining the city will remind you of a water-colour painting. When it's sunny, the city is drawing in the gold of sun. Since the great area of Berlin is covered by parks, the air in the city is exceptionally fresh. So just imagine, sunny or rainy, with a fresh breeze, you are on the bike, getting to know one of the world's masterpieces in good company, sharing your impression at the end of the day in one of the local cafes or beer gardens! 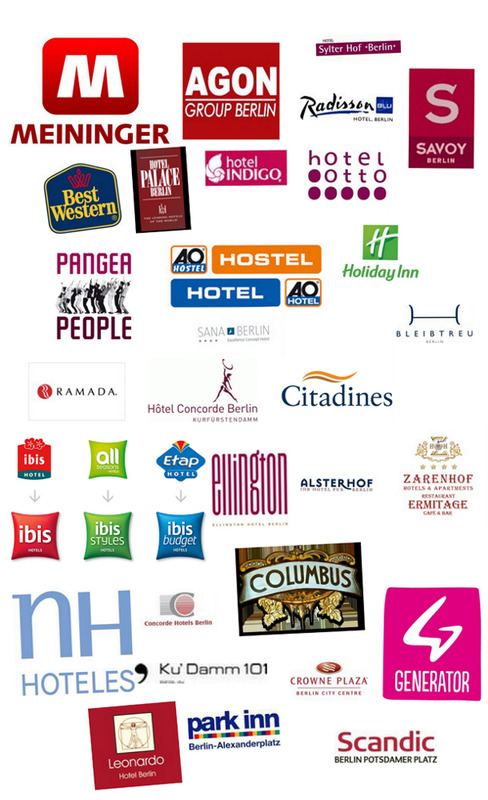 Our Prices are the most fair and compatitive in Berlin for a best quality and diverce service. Our Prices are transparent and flat, you know at the beginging how much you pay. You can also rent our bikes directly at our partner hotels and hostels and other points in Berlin, München, Frankfurt, Hamburg and other.